Samyang Optics announces the release of three more new lenses as part of its 2019 “Spring Collection”: One auto-focus lens designed for the Nikon F mount (AF 85mm F1.4 F) and two manual-focus lenses for the new Nikon Z mount (MF 14mm F2.8 Z and MF 85mm F1.4 Z.). 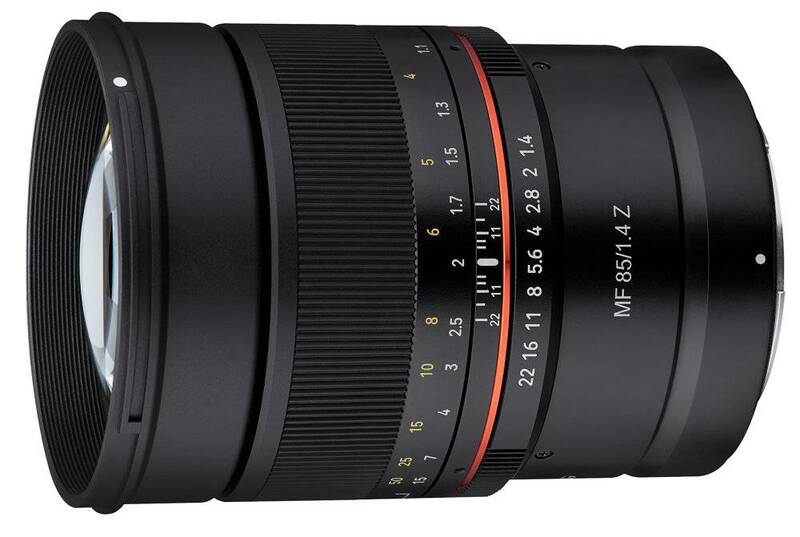 Samyang has recently introduced various new lenses for the latest cameras from Canon and Sony. Today, Samyang introduces three lenses simultaneously for Nikon F mount and Z mount. Following the launch of the AF 14mm F2.8 F in 2018, the AF 85mm F1.4 F is Samyang’s second lens for Nikon F mount. The Samyang AF 85mm F1.4 design has been highly respected by photography enthusiasts worldwide for some time, thanks to its optical performance and beautiful bokeh. Alongside this lens are the MF 14mm F2.8 Z and MF 85mm F1.4 Z models. These are compatible with the latest Nikon Z mount cameras and demonstrate Samyang’s advanced optical technology in the market. All three new Nikon lenses are Ultra-Multi-Coated (UMC), in order to provide excellent image quality and contrast from the centre to edges of the image. In addition, all of the new lenses feature weather- sealing to enhance anti-dust and water-protection capabilities, enabling photographers to continue shooting in unpredictable conditions. The AF 85mm F1.4 F features a 9 bladed aperture and the MF 85mm F1.4 Z features an 8 bladed circular aperture for “smooth bokeh”. These lenses provide sharp images from edge to edge, even wide-open at F1.4. Colours are faithfully rendered and have very natural-looking tones. The new AF 85mm F1.4 F plus MF 14mm F2.8 Z & MF 85mm F1.4 Z lenses from Samyang, will be unveiled for the first time at the China P&E 2019 in Beijing between April 12th and 15th. Price and availability in the UK and Ireland will be announced soon.